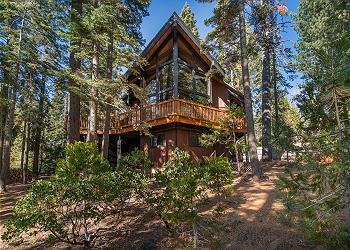 This spacious home offers you plenty of space to spread out and enjoy your Tahoe Vacation in peace. The top two floors of the home are yours to enjoy privately and consists of large kitchen, living room with fireplace, dining area, 2 bedrooms PLUS a loft! 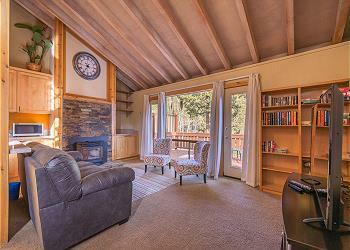 River Walk is located in Alpine Meadows and 5 minutes from Squaw Valley Village! 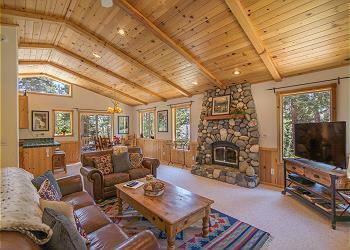 Easy access into Tahoe City where there is great shopping, restaurants, and activities. Crest Cafe and River Ranch restaurant is across the street and walking distance! Classic Tahoe home located in a private and quiet neighborhood, close to hiking trails and less than 5 minutes from Kings Beach. Northstar resort minutes away and easy access! Large yard to play in the snow!